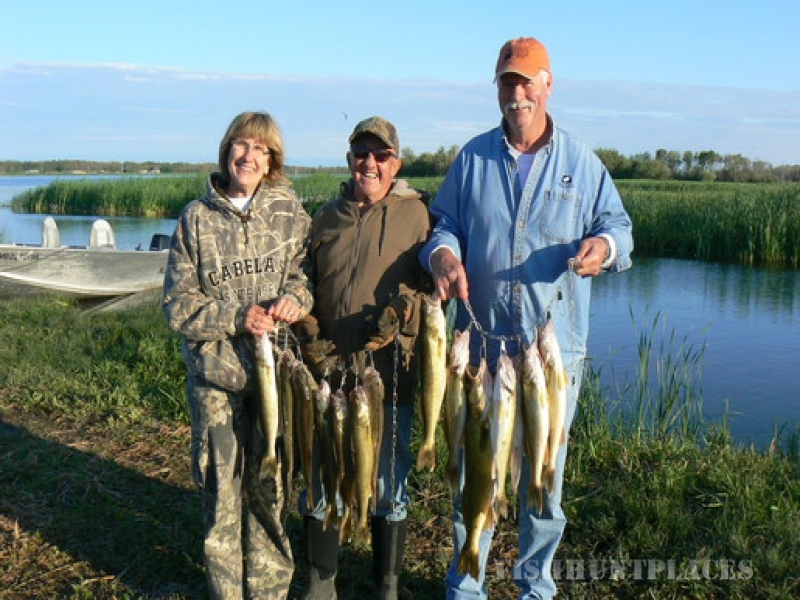 We would like to invite you join us to experience some of the most impressive drive-in fishing in Manitoba. What makes this fishery so extraordinary is the clean and fast flowing Waterhen River. The combination of clear, cool water, limestone bottom and structure between two large lakes make the river a gathering place for trophy class Walleye. The fact that so many large fish congregate here creates a unique opportunity for you to experience Manitoba fishing at its absolute best. As some of our guests have stated, why pay for the expense of a fly in trip when we have better Walleye fishing right here? Our out of the way location has long been prized by residents of the U.S. and Canada for the amazing Manitoba Walleye fishing here. Year after year, people return for the chance to catch Manitoba Master Angler size walleye, along with silver bass, northern pike, drum and other species. Here's how one professional angler that I know puts it,"If your goal is trophy Walleye fishing, then there is one fishery in Manitoba to go and that is Waterhen." Join us for Manitoba deer hunting at its best! With access to over 2000 square miles of agricultural and marsh land; Manitoba’s white tail deer reign over many areas that are virtually untouched by humans most of the year. These monsters grow to their full potential which explains why deer in the high 170 typical range and non-typicals in the 220s are harvested many years. 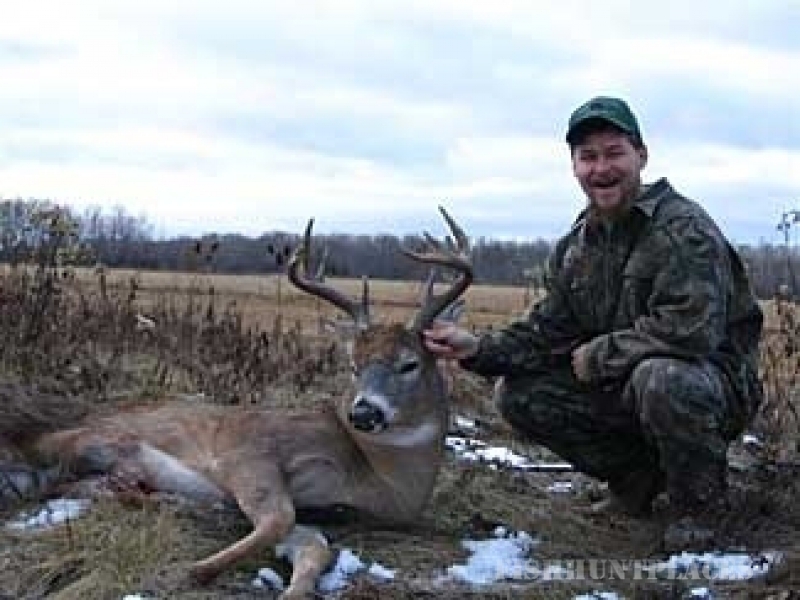 We know you can see a deer nearly anywhere in North America but we are sure you have not seen such quality bucks in such unpopulated territory before, giving you the opportunity to experience truly phenomenal trophy deer hunting. We have the advantage of local, knowledgeable guides to get you in and out of areas where the big bucks like to hang out. Wow! is about the only way to describe the waterfowl hunting in this part of Manitoba. 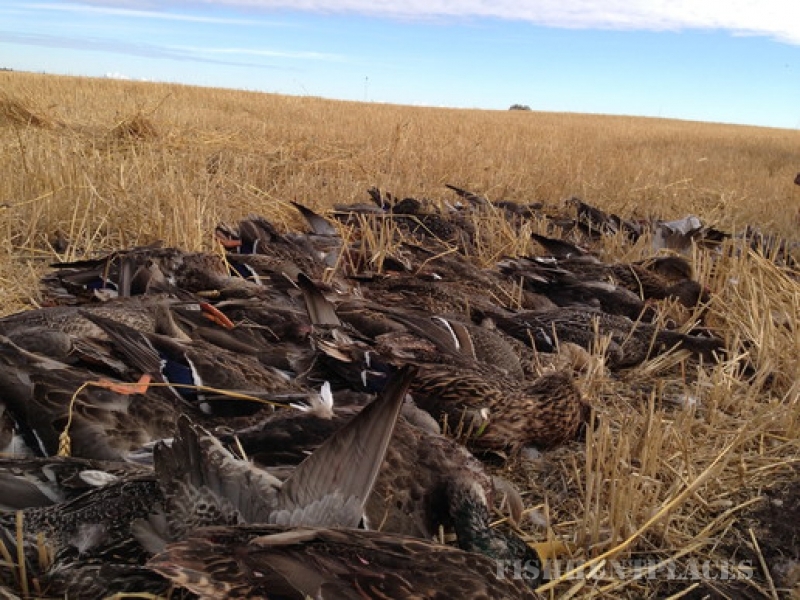 It is no understatement to say that our waterfowl hunts are unlike any in the world. The combination of location and habitat make our lodge a prime spot on the central flyway and one of the first stops along the migration route south. These ducks and geese are ready to rest and feed along the marshes, rivers, lakes and grain fields that make up the surrounding areas. They may not have seen a hunter until they come in to our decoys right in front of you! 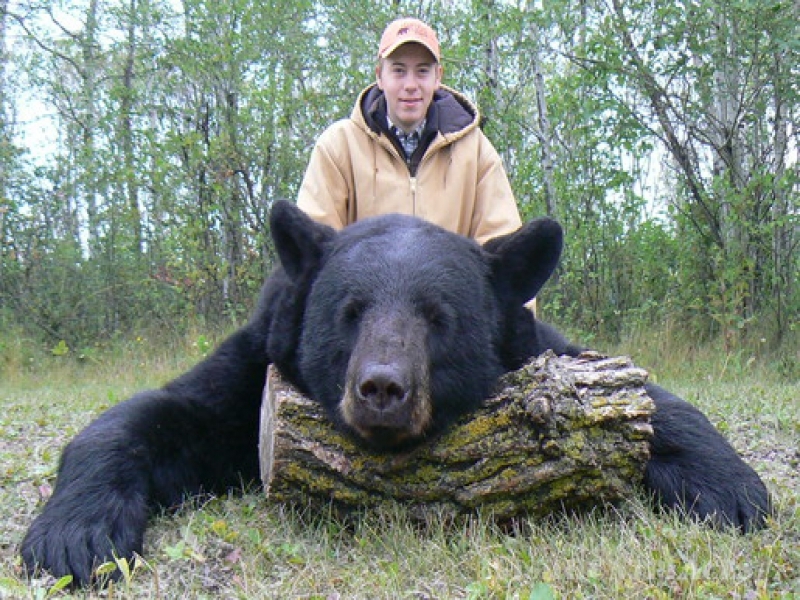 We are excited to offer premier black bear hunts in Manitoba, Canada. Home to some of the best black bear hunting in the world! The large black bear hunting area near Harvest lodge is simply "world class". We personally spend a large amount of time scouting new areas to increase your odds of finding that trophy bear. While bear hunting with Harvest Lodge, you will often have the opportunity to see different color phases of black bear, and many B & C 21” and larger bears are harvested every year. We are a smaller operation which makes your hunt experience a priority for us and gives you the best opportunity to see multiple bears. We utilize local knowledgeable guides with years of experience to further enhance your chances of finding the "right" bear for you. Our hunts will primarily take place out of large, comfortable ladder stands. Many of our stands are doubles which affords you the opportunity to share the experience with a camera person, son, daughter, spouse, etc.